It's been a troubling week in Baltimore where riots erupted after the funeral of Freddie Gray, an African-American man who suffered spinal injuries while in police custody and died April 19. 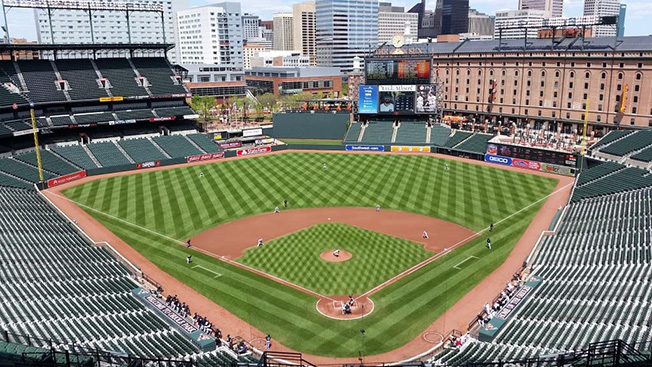 Today, the Baltimore Orioles played the first Major League Baseball game in history with no fans in attendance. In order to avoid any potential violence, the team decided not to allow anyone to attend the game at Oriole Park at Camden Yards. A stream of Twitter messages poured forth during the game, and the 12 tweets below—from sarcastic to serious and all points in-between—seem to sum up people's feelings about baseball in Charm City today. David Lynch should film the Orioles empty stadium game with a dozen or so people wearing animal masks in stands and creepy music playing.